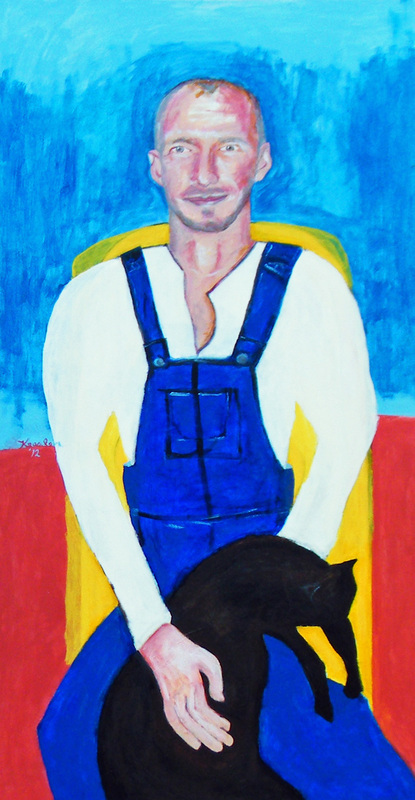 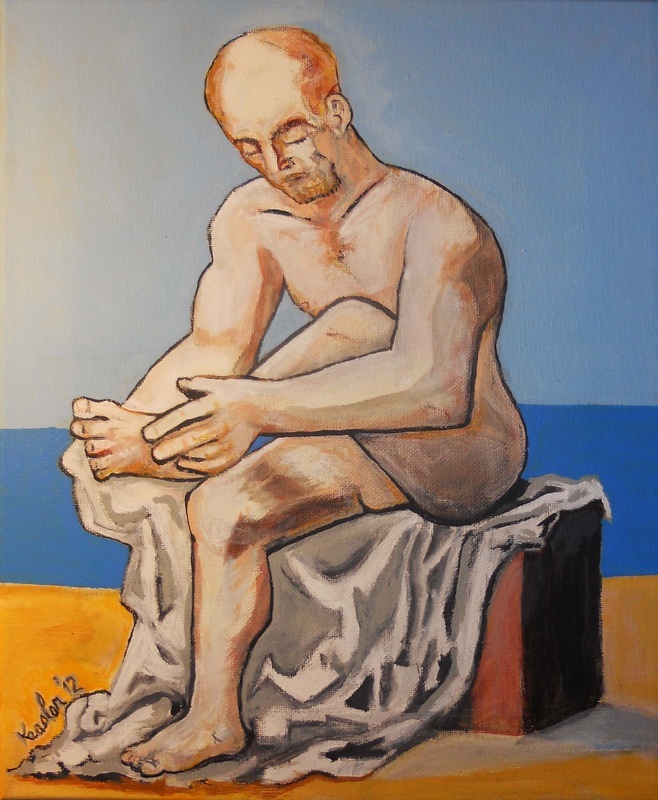 "Man Drying Foot" after Picasso, acrylic on canvas. 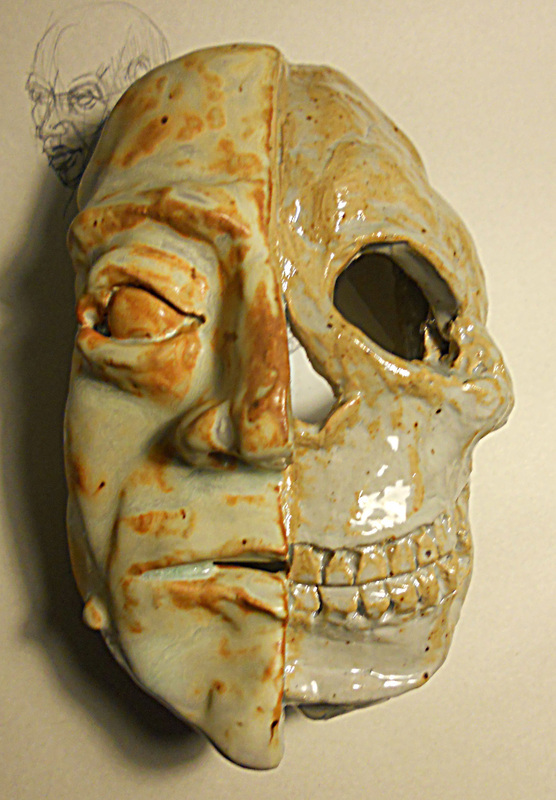 "Mortality" inspired by an Olmec work. 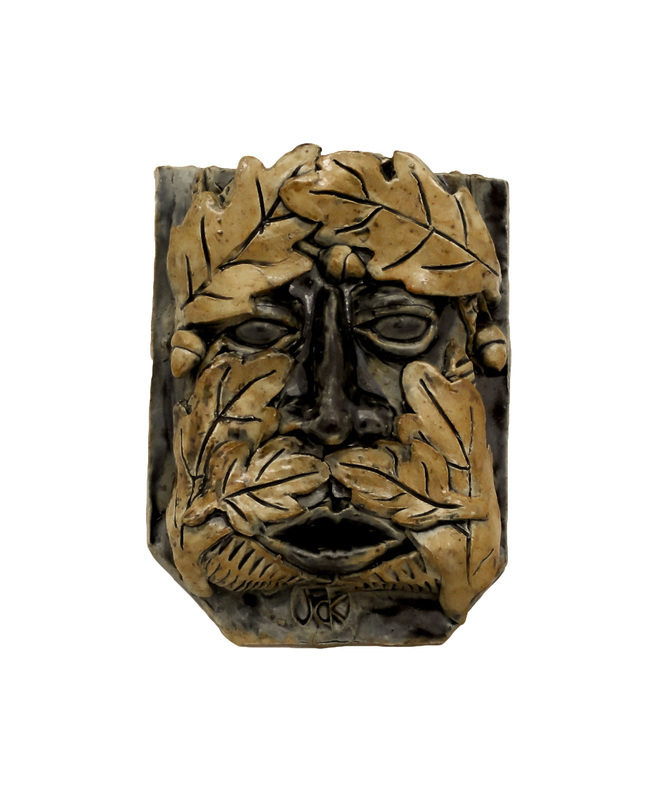 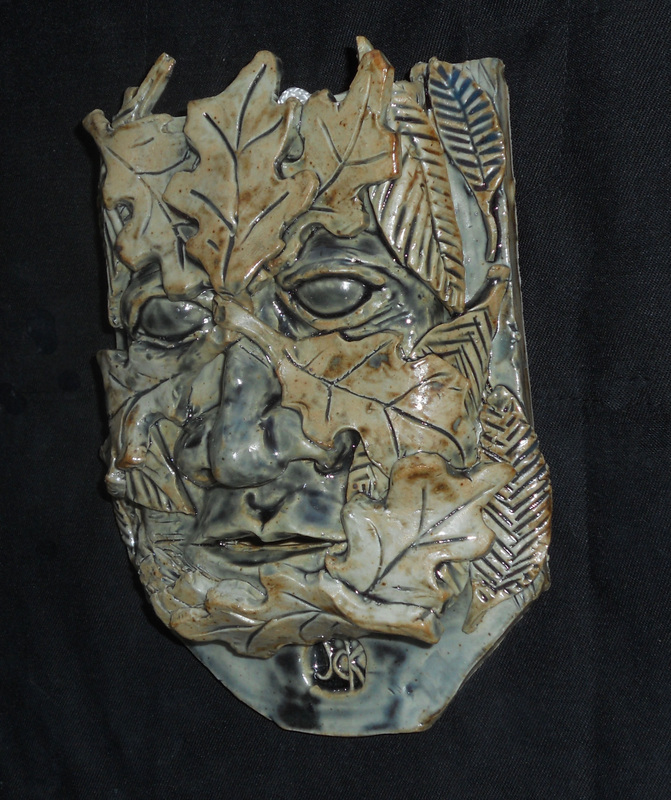 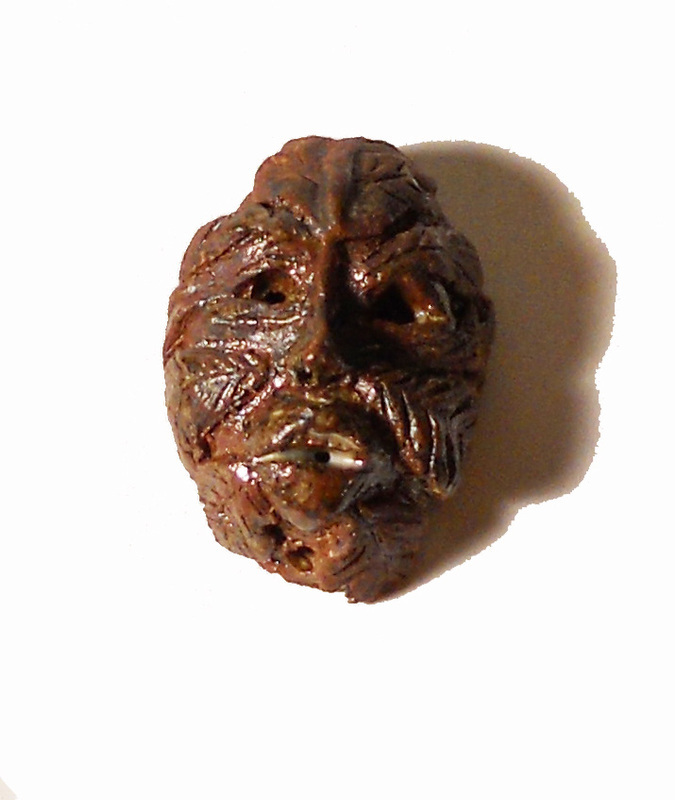 "Green Man" Ancient spirit of the nature. 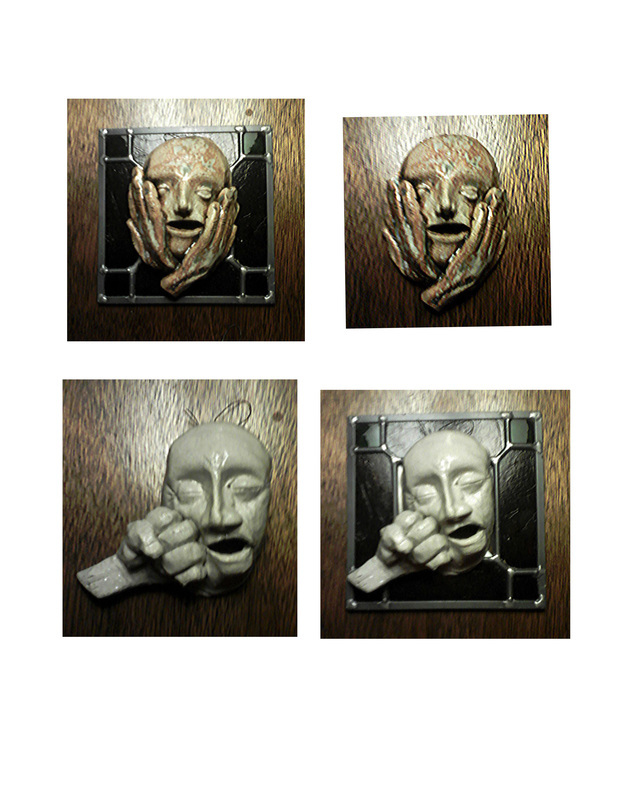 Face and hands with background glass by Robert B. Gould.